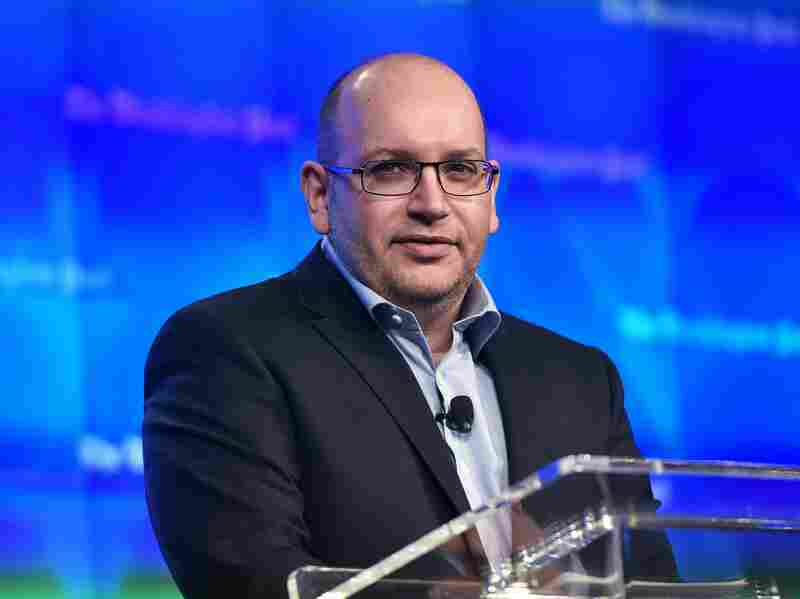 Journalist Recounts The Absurdity And Torture Of 544 Days In Iran's Evin Prison After being accused of spying, Jason Rezaian was held in Iran's notorious prison for a year and a half. Throughout it all, he never considered giving up writing and reporting. Jason Rezaian speaks during the inauguration of the Washington Post headquarters on Jan. 28, 2016. When Jason Rezaian moved to Tehran to pursue journalism in 2009, he knew he was taking on a certain amount of risk. "I think everybody who goes and works in a country like Iran makes those calculations and thinks about that," he says. "You don't have to read a lot of history to know that journalists have been targeted there in the past." Still, Rezaian reasoned, if he was careful and "played very closely by the rules" — being transparent about the work he was doing and the people he was communicating with — he would be safe. That strategy worked for a time, and Rezaian eventually became the Washington Post's bureau chief in Tehran. But then, in July 2014, Rezaian, his wife, Yegi, and their friend exited an elevator to find several men waiting for them — one with a gun pointed at Rezaian. Rezaian and Yegi were arrested, and he was accused of being a spy for the United States. Yegi, who is Iranian, was released after two months, but Rezaian was held in Iran's notorious Evin Prison for a year and a half, including a period in solitary confinement. Rezaian suspects his imprisonment was related to the negotiations surrounding the Iran nuclear deal: "I think that the authorities that took us were ones that were actively trying to get in the way of the nuclear negotiations and a possible deal," he says. "Our arrest was one of many things that they did to try and disrupt those negotiations." A complex series of negotiations eventually resulted in Rezaian's release. He is now suing the Iranian government for taking him hostage and for psychologically torturing him. Rezaian says that throughout his ordeal, he never considered giving up writing and reporting: "Quite the opposite. I've got more to say now. My concern was will I be able to say it? Will I have the opportunity to do it? And will I have the mental wherewithal to be able to put things down?" 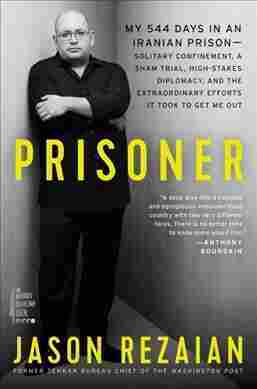 Rezaian's new memoir is Prisoner: My 544 Days in an Iranian Prison — Solitary Confinement, a Sham Trial, High-Stakes Diplomacy, and the Extraordinary Efforts It Took to Get Me Out. They didn't tell us anything. When they were arresting us, there was no insinuation of why we were being arrested. But later, when we were taken to prison, I was told that I've been arrested because I was the CIA's Tehran station chief, which is laughable and made me laugh. But that didn't help me get out of the situation. In those first several weeks, I was often [interrogated] two or three times a day. They were maddening, because they weren't really accusing me of anything actual. They were picking apart emails and lines from my emails, communications that I had with friends and relatives, and ostensibly saying that "by using this terminology it's clear that that you're a spy, because only spies use terms like this." The one that I remember off the top of my head is apologizing to a friend for going radio silent for a few days. My interrogator pulls out a printout of my emails that's highlighted in yellow, "radio silent," waving this around as if it's a smoking gun. And that went on for many months. They wanted me to confess to being a spy for America. Oftentimes, an article that I've written in the Washington Post was their proof of that, and I thought to myself and I continue to think for myself, if this is how they conceive of espionage, well these guys are gonna have a tough thing coming to them, because the world is becoming a very transparent place. It's hard to suppress information. ... Iranians have access to cellphones and the Internet, social media, and the authorities there do what they can to suppress it. But people still get images and video out of things that are going on in daily life. And the enemy of the Islamic Republic is not me — it's the realities of the modern world that we live in, and the way that they try and suppress truth. Solitary confinement is torture. Putting somebody on a sham trial, compelling them to confess to things that they didn't do, depriving them of sleep — these are all signs of torture. Was I physically attacked, violently abused in a physical way? No. There is a level of stress that one cannot comprehend if they haven't been put through this sort of situation. Solitary confinement in a confined space that's very small and impossible to move around in — and you have no say over when the door opens — is one of the worst things that you can do to a human being. I still have a problem in those kinds of moments and situations where I'm locked in a room or locked out of a room. It's going to linger with me forever. It was a fear that was built into me throughout that time, even when I came out of solitary. You're always worried about going back into it. I also had a range of infections in my my body, in my eyes, in more private parts of my body, and these things were not addressed for many months — and then addressed in the most perfunctory ways. I came out physically not the same person I walked in as, and I'm not sure I ever will be that person again. It was so creepy. The whole thing was really creepy. It had a room with a mattress on the floor, a small kind of dorm refrigerator, a little shower. ... There was a sign in the room that said that there was no surveillance devices in this room, out of respect and courtesy and Islamic chastity, or whatever it said — and that just kind of tipped us off to the fact that there was almost certainly plenty of devices in the room. But it was a small morsel of opportunity to be close to my wife, to talk, to hold hands to do what husbands and wives have been doing for millennia. I think it helped in the later months from going more insane. We've come a long way in the last couple of years, but it's still really hard, and I am less trusting than I was before. I'm more in need of verification. Friends who know me, and have known me for a long time, will probably report that if we make plans together I double- and triple-check them now. That was not anything that I ever did in the past. It's hard. I mean, life is more complicated, because there's a voice inside my head that tells me that I have to question everything. And while that might be beneficial for aspects of my work, it doesn't really help me in getting through my day-to-day existence, because it's not natural for me. I miss being carefree. And when I say "carefree" I don't mean not caring, but I mean being confident and trusting that you can walk out your front door, and go about your daily business, and expect to come home at the end of the night unscathed — because I have anecdotal evidence of my own life to tell you that sometimes that's not how things work. Sam Briger and Thea Chaloner produced and edited this interview for broadcast. Bridget Bentz, Molly Seavy-Nesper and Meghan Sullivan adapted it for the Web.